Maggie Maye loves candy almost as much as she also loves performing comedy. 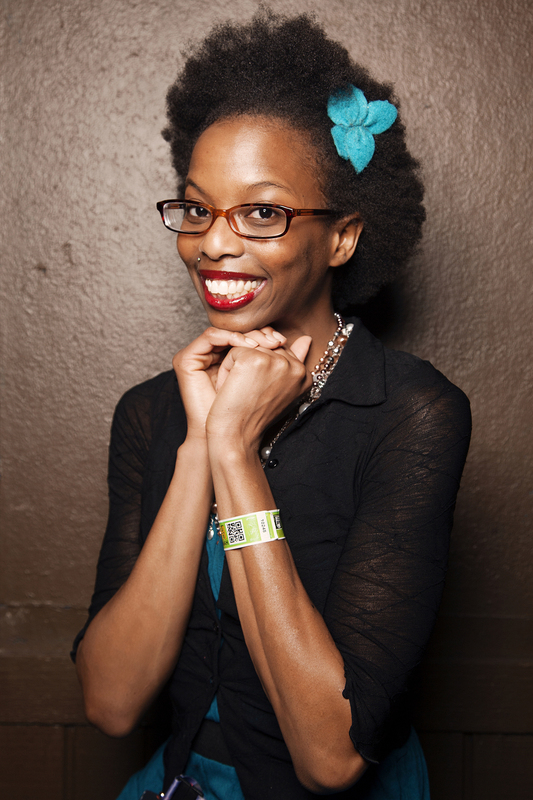 She was highlighted on Gotham Comedy Live and made her late night debut on Conan. She’s performed at festivals such as Bridgetown Comedy Festival, FunFunFun Fest, Moontower Comedy & Oddity Festival, SXSW, and the All Jane Comedy Festival. She’s opened for Paul Rodriguez, Godfrey, Paul Mooney, and Earth, Wind and Fire. She’s been featured in the Huffington Post, Variety, LaughSpin, The New York Times, Sidesplitter (who named her one of 2015’s up-and-coming comics), and the Austin American Statesman (who listed Maggie as one of 2015’s People to Watch). She performs improv comedy with her troupe Damn, Gina! and in various sketch and improv shows around Austin. Her comedy is described in the same way she is: sassy, charming, and smart. Also, a 6-year-old once told her she was the funniest person ever. And kids rarely lie. It was wonderful having Maggie Maye out to WSU. She was absolutely hilarious and a major crowd pleaser!…Maggie Maye had a wonderful attitude while she was here and was very easy to accommodate. Of all of the comedians that we have had at the monthly Up All Night events this year, she received the highest number of students approaching her and after the show to comment how much they enjoyed her set. Want to talk with us about MAGGIE MAYE?